The Hamlet Senior Center is dedicated to the enrichment and greater quality of life for seniors 55 and older. 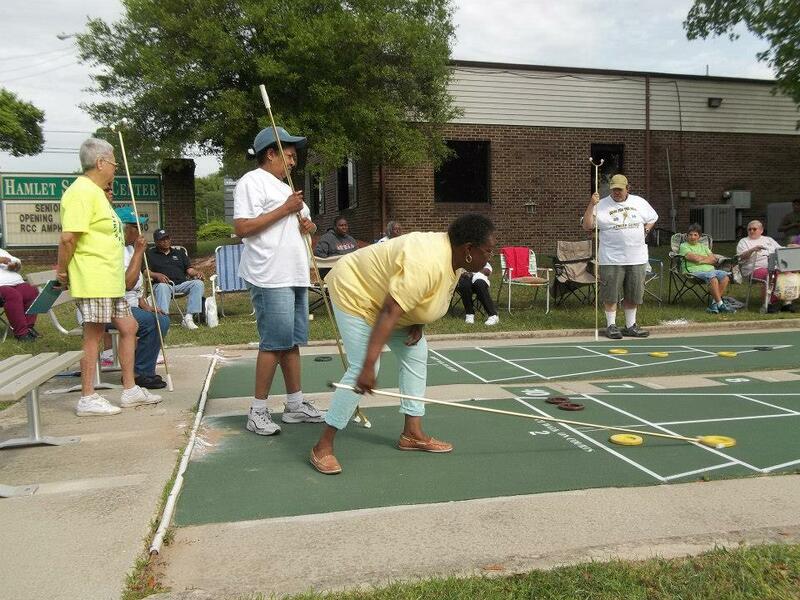 We provide growth opportunities for seniors socially, spiritually and through the stimulation of physical and mental challenges. April 2019 Newsletter - "The Herald"
Please include a check for $11 with your registration form. 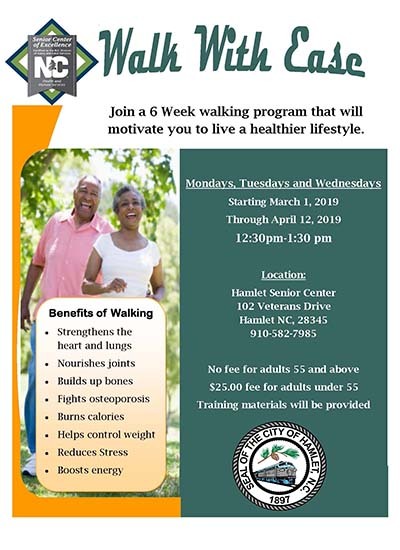 If you have any questions contact the Hamlet Senior Center with any questions or concerns. Powerful Tools for Caregivers is an educational program designed to help family caregivers take care of themselves while caring for a relative or friend. You will benefit from this class whether you are helping a parent, spouse, friend, someone who lives at home, in a nursing home, or across the country. This class series meets once a week for six weeks. Class size is limited, and registration is required, please register by February 4, 2019. This class is only for “Caregivers”.